day 6 already! Happy new year! We tried to get up early to go to Laforet but we were so dead from the new years "party". So of course we overslept by 3 hours. 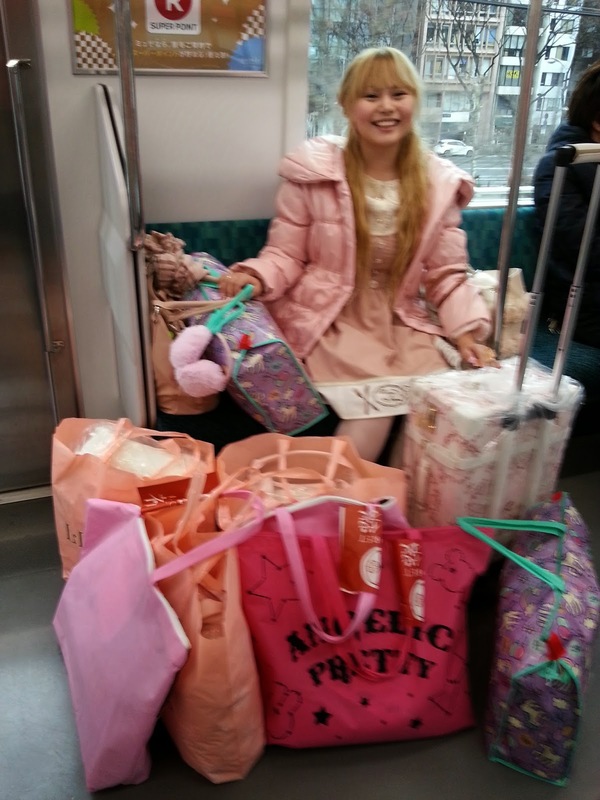 But for the first time we got ready really quick and left for Harajuku. It was so good that we had our hotel near Tamachi, so Harajuku was only 13 min away with the Yamanote line. 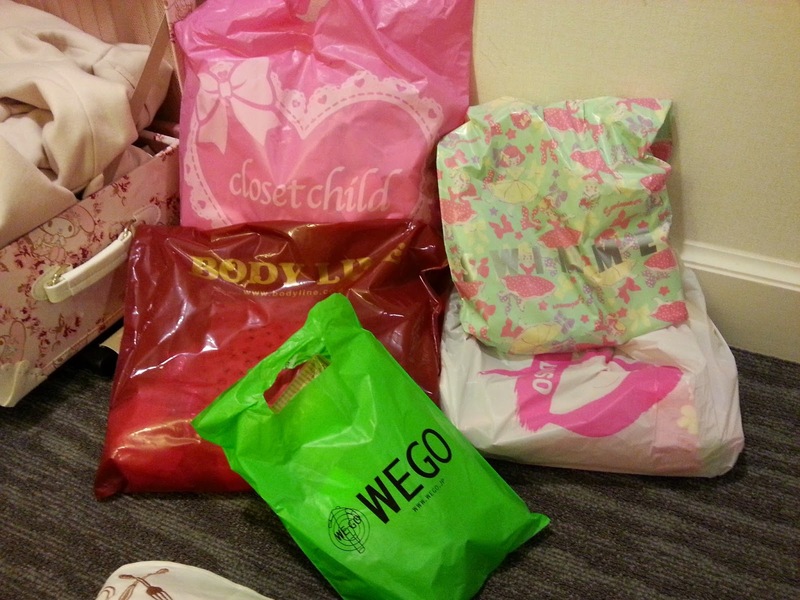 We brought our stuff back to the hotel, only to rest for one hour and go back to harajuku again. And yes, this is how we transported everything. The stuff on the right is mine, and the one on the left is Bibi's. It was really a lot. Returning in the evening, this is what we got on our second trip. Only small stuff, compared to the first batch. Once again, sorry for the horrible pictures. I only had my phone cam with me because I was too lazy to carry my big but better camera. 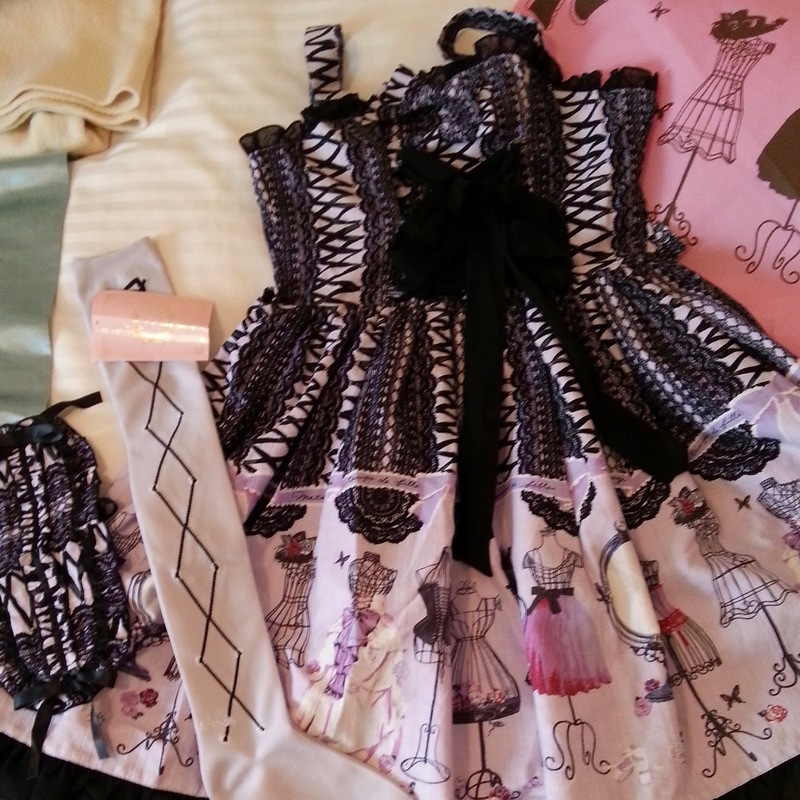 That was in my AP Lucky pack (10.800yen): socks, a bag, a dress, a blouse and a headbow. Nice and simple. 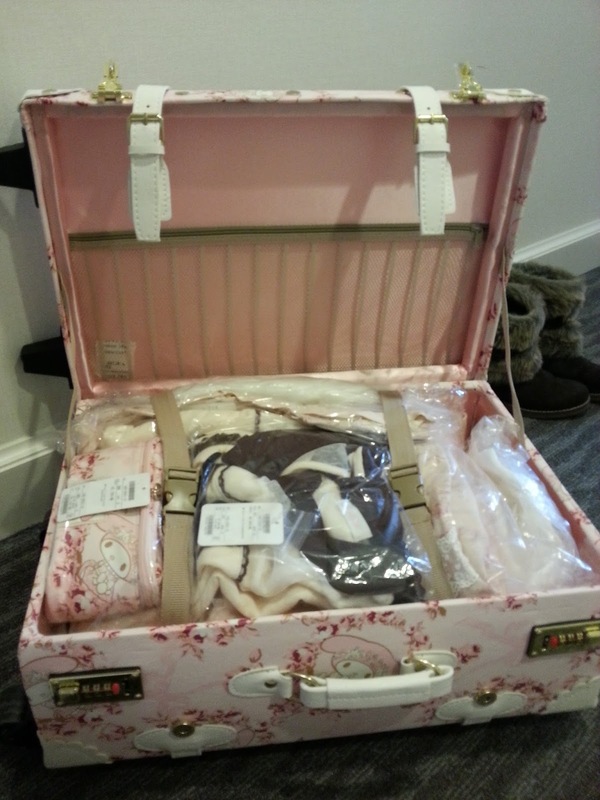 From Liz Lisa I got the suitcase, the small bag and the big pink bag for 59.600yen. I always forget that they don't include the taxes. Silly me. 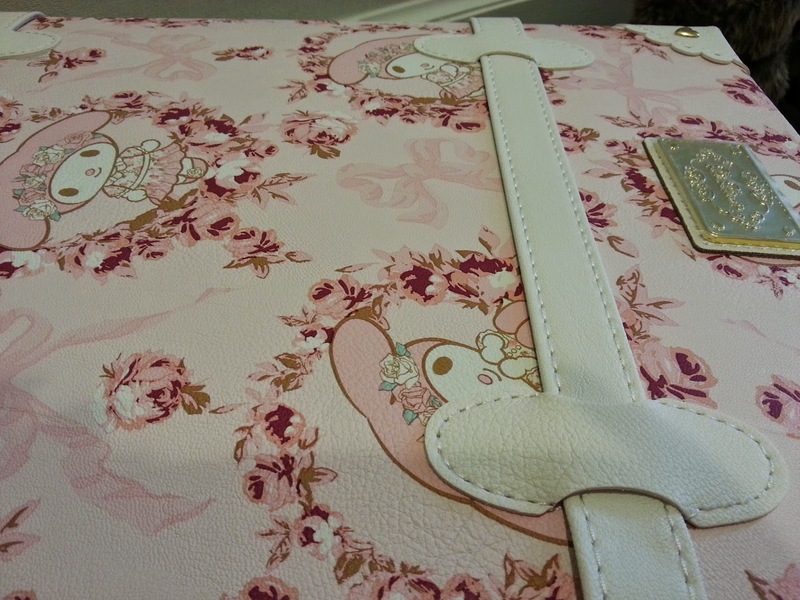 I love the my melody suitcase. 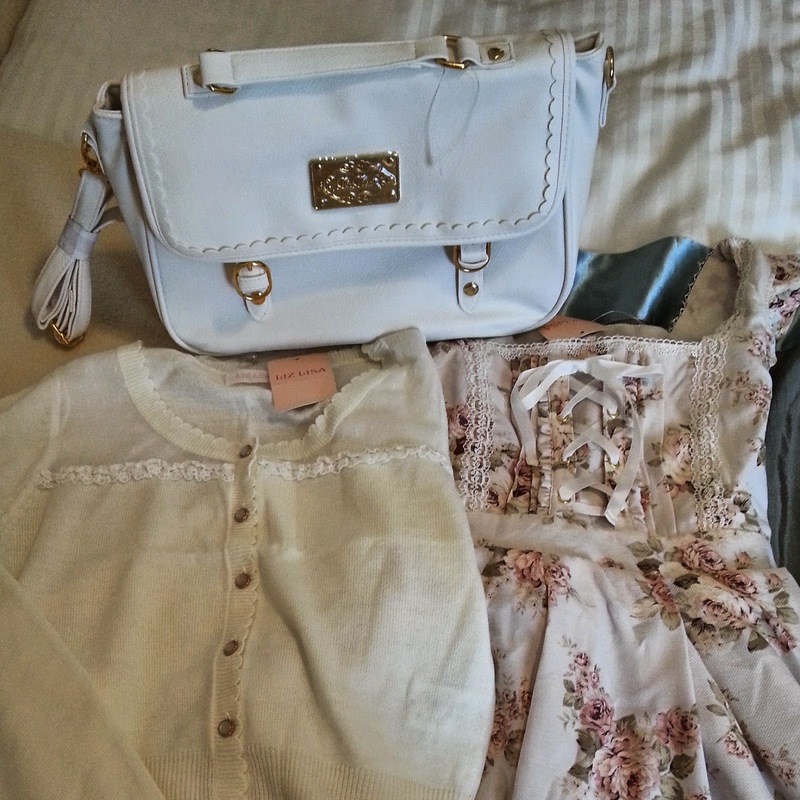 I was a bit confused by it because I expected a white dress but I love the pattern on that JSK so I am not all too sad for not getting a white dress :P.
I got the lavender lace up dress in my Meta Lucky pack (10.800yen). I could decide on the colour which was super good. Bibi got the last in her colour (beige/ecru). She was really lucky. The swimmer lucky pack was 3.000yen (tax included, hell yisss) and consisted of so many items! I have to admit that I left some of the items (the furry things) in the hotel because I didn't like them and didn't want to bring them to Austria. I really like Paris kids, even though the quality is...bad. 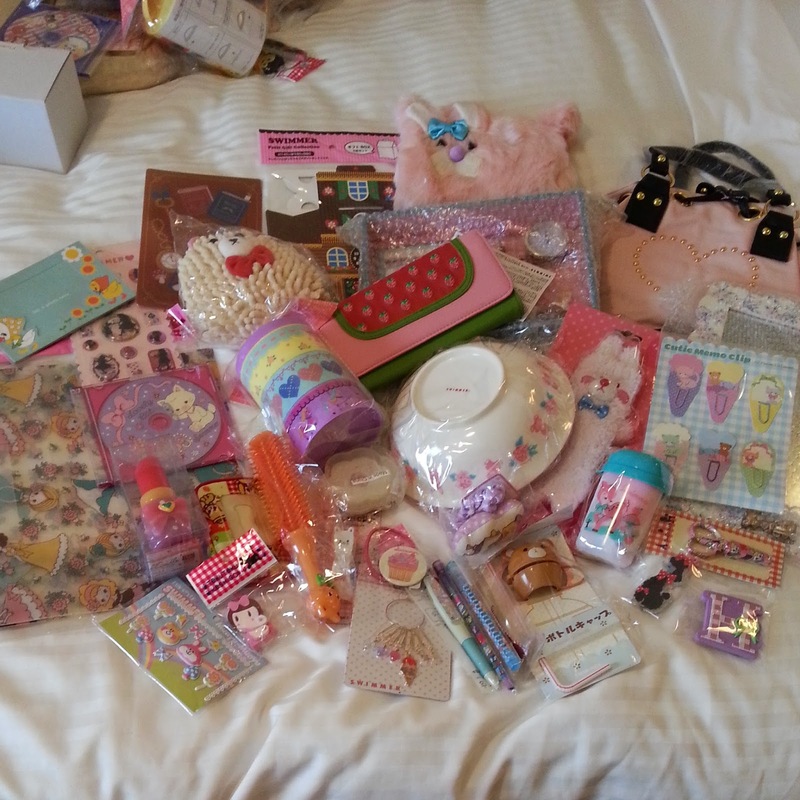 But I still got a lot of cute stuff. I especially like the snowflake necklace. At we go I just got socks and stockings in white and lavender. In closet child I bought a long Baby dress. We also went to bodyline and I wanted to get some shoes but the staff ignored me, so I didn't. Instead I got some accessories and socks. That in the middle are wrist cuffs. The quality of the picture is super bad, no idea why my good and better camera keeps making those dark outlines. they really were! I was super excited :)! Wow I love your shopping haul!